- Daily Yoga Training with the Yoga teachers Rebecca and Ida frm Sweden! 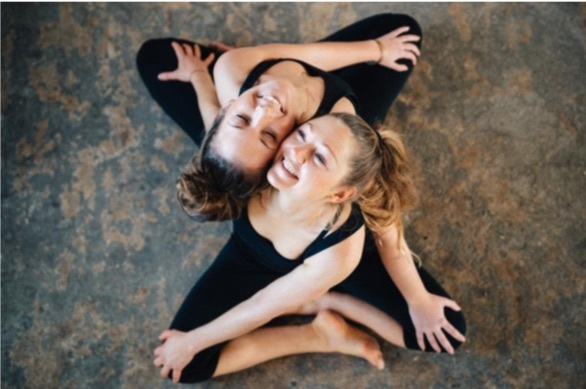 These two young women are best friends who decided to combine their strengths and create a small yoga retreat company. Their different styles - Rebecca is a MediYoga and Yin Yoga teacher while Ida balances the retreat with Vinyasa Yoga sessions – make for the perfect retreat. Their passion in life spreads the healing power of yoga and creates wonderful workshops at magical Casa Wallace. They continue to learn and develop their retreats that combine meditation, yoga, and movement. They also allow participants enough free time to relax by the pool, feel the warmth of the sun and read.